Real Estate and Real Life in Cary | K.C. McLaughlin,REALTOR, e-PRO. Getting you from where you are…to where you want to be! K.C. McLaughlin is a Certified e-PRO and REALTOR. Answers email promptly and professionally. An e-PRO is a REALTOR® who has successfully completed the e-PRO training program for real estate professionals. Endorsed by the National Association of REALTORS®, the e-PRO course teaches professionals the nuts and bolts of working with real estate on-line: Web sites, email, on-line tools, and most of all, what today’s consumer really wants. Are you reluctant to give out contact information through the Web for fear of being pestered or spammed? e-PRO’s understand. They’ve learned the Web isn’t just a place to do business; you need information from someone you can trust. That’s why e-PRO’s respect your privacy. They respond quickly to your questions, but don’t send you unwanted communication. And they protect your personal information. The result: you get more information, more easily. With electronic files, you have less paperwork to deal with. And since your agent uses email, you can even eliminate phone tag. The e-PRO streamlines your entire transaction, from showing to closing. An e-PRO’s access to advanced technology can save you considerable expense. You have more tools to find or market your home, so you’re likely to get a better price. With on-line home tours, you reduce in-person showings — and the costs involved. And by using email, you save money on long-distance calls and fax charges. Relocating? An e-PRO is ideal for you. With the tools to do your research electronically, you can make a decision on a home the first day you’re in town — or without traveling at all. You and your family save on travel costs. And after you’ve decided to buy, monitoring the sale by email saves you even more. Should you use an e-PRO? Yes — especially if you’re an Internet user. In this fast-paced age, technology has become a necessity. An e-PRO is someone who has recognized and responded to the needs of the new consumer. If you choose an e-PRO, it’s a safe bet you’ll get the kind of service you want — and need. Text courtesy of the National Association of Realtors. Celebrate 23 years of Spring Daze in Fred G. Bond Park, Cary’s 310-acre urban park. Nestled under the shady canopy of Bond Park, Spring Daze features over 180 North Carolina artists, entertainment on four stages, delicious festival food and Cary’s annual Earth Day Celebration. Spring Daze features the best of North Carolina’s diverse arts and crafts community! 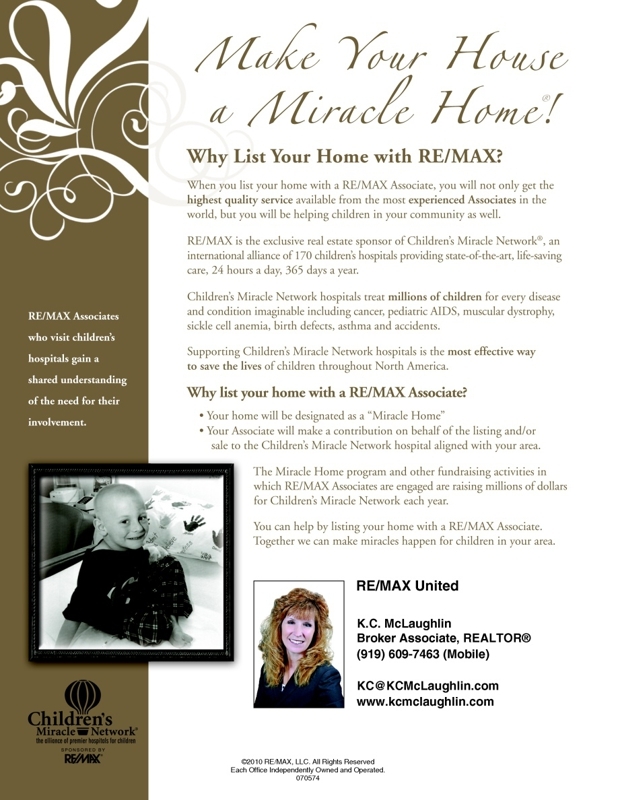 Make Your House a Miracle Home! 2. Reduce your debt. Lenders generally look for a total debt load of no more than 36 percent of income. This figure includes your mortgage, which typically ranges between 25 and 28 percent of your net household income. So you need to get monthly payments on the rest of your installment debt – car loans, student loans, and revolving balances on credit cards – down to between 8 and 10 percent of your net monthly income. It is a GREAT time to buy with prices down, interest rates low and the tax benefits of Home Ownership! It is important to understand the home buying process before you start looking at homes so that you know what to expect. I explain the entire process and provide my new buyers with a buyer booklet outlining the steps and what you need to know. If you are looking to buy a home locally or looking to relocate to the Triangle Area of North Carolina – Cary, Apex, Raleigh, Morrisville, Chapel Hill or another town, I would love to help you find your new home. Give me a call with any questions or visit my website. I strive to help people get from where they are to where they want to be. Why Relocate to Raleigh, NC? I’ll Tell You Why! Why Move to Raleigh NC or any of the incredible surrounding towns? 1. LOCATION, LOCATION, LOCATION! 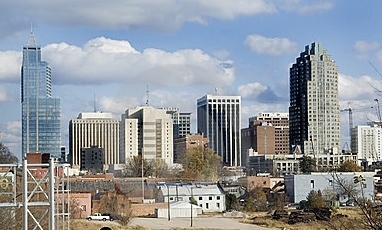 Raleigh is centrally located with easy access to anywhere in the Triangle area. Raleigh consistently ranks among the best places to live, start a business, raise a family, and earn a world-class education. Raleigh and the Triangle area is conveniently located just a few hours from the mountains or the sandy beaches of the Atlantic Ocean. 2. World Class Health Care! The Triangle is an international center of medical care and research and has one of the highest concentrations of doctors and hospitals. Major health care providers include WakeMed, Rex Healthcare, Duke Raleigh Hospital in Wake County, Duke University/Medical Center and UNC Hospitals. 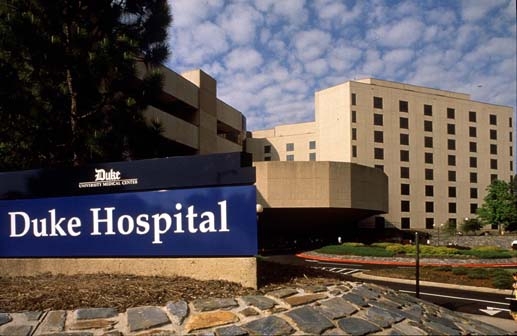 These hospitals consistently rank among the highest in the nation. 3. Education! The Wake County Public School System regularly ranks as one of the best in the country and is one of the major factors considered by relocating families to the Raleigh area. The Triangle area offers many world class universities such as Duke University, University of North Carolina and North Carolina State University. The Triangle has 18 colleges, universities and community colleges and boasts the highest concentration of PhD’s in the country. 4. Career/Business Opportunities! Raleigh NC consistently ranks as one of the best places to work and start a business. Thanks to the diverse economic base, our residents can choose to work in a wide variety of industries. Our 3 largest industries are government, education and health care. In addition, we are internationally known for our industry leading high-tech companies in industries that include biotechnology, pharmaceuticals, computer software and hardware, and textiles. 5. Climate/Recreation! Raleigh and the Triangle area is conveniently located just a few hours from the mountains or the beaches of the Atlantic Ocean. North Carolina is known for its mild weather year round and its four distinct seasons. We usually get a a very small amount of snow each winter – occasionally enough for the kids to build a snowman. Mild weather translates to year-round outdoor activities such as biking, hiking, boating, swimming and all kinds of sports. 6. Arts and Culture! Raleigh is home to a number of world-class museums that are among the largest and best in the Southeast. In the capital area residents can enjoy the North Carolina Museum of History and The North Carolina Museum of Natural Sciences. Also downtown is the Marbles Kids Museum which offers new exhibits each month for people of all ages to enjoy. If you prefer a night out at the theater, the Progress Energy Center for the Performing Arts is the place to be. The performing arts center features the Memorial Auditorium, Fletcher Opera Theater and the Meymandi Concert Hall. These are home to the North Carolina Symphony, the North Carolina Theater and The Carolina Ballet. Be sure to visit the North Carolina Museum of Artwith its new collections and the 164 acre Museum Park which combines art and nature. 7.Sports! College basketball and football teams from Duke, UNC, and NC State are amazing to watch.The Triangle area is also home to the NHL Stanley Cup Champion Carolina Hurricanes, the Carolina Mudcats (AA Baseball affiliate of the Cincinnati Reds), the Durham Bulls (AAA Baseball affiliate of the Tampa Bay Rays), and the Carolina RailHawks soccer team. 8. Shopping! Raleigh is a shopper’s paradise and between Cary, Raleigh, and Durham, you will find 5 major malls with over 450 stores. Raleigh has Crabtree Valley Mall, Triangle Town Center, North Hills, and Cameron Village. Durham has its outstanding Streets at Southpointe Mall, and Cary has the Cary Towne Center. 9. Restaurants! With 100 restaurants and clubs in downtown Raleigh alone, you can see why it is the place to be. When it comes to nightlife, you will find some of the hottest places around to dance or listen to some of the best live music. Our diverse mix of pubs, breweries and nightclubs are just a few reasons why everyone enjoys our area. We have some of the best restaurants in the South! Enjoy a good steak? Try our Angus Barn, ranked as one of the best steakhouses in America. 10. Golf Anyone?. When it comes to golf destinations and outstanding golf communities, the state of North Carolina ranks among the most recognized in the country. The best part is that you can golf just about year-round. There is something here for every golfer from Raleigh’s public access courses to Pinehurst’s nationally known courses. 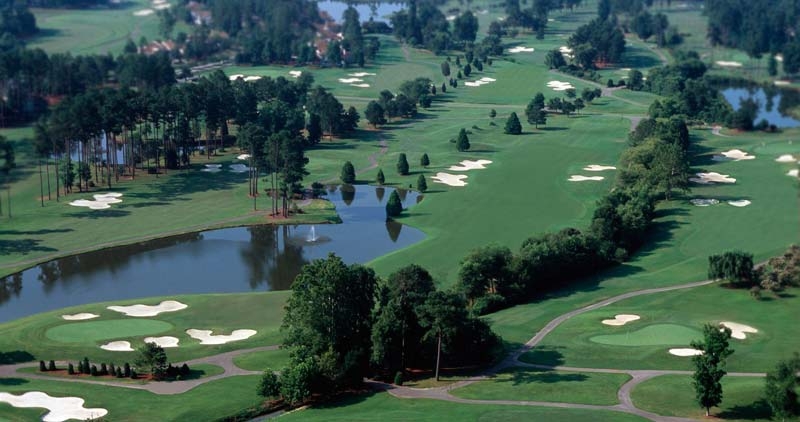 Select golf courses in the Raleigh area include the Hale Irwin designed TPC course at Wakefield Plantation, the Tom Fazio designed course at Hasentree, the Arnold Palmer Signature Golf Course at the Brier Creek Country Club, and the challenging Heritage Wake Forest golf course. Ready to Relocate or Just Want More Information? My website makes it easy for you to view my featured listings and learn more about the community including important information about schools, demographics, climate, crime and much more. Want more information on Cary, Raleigh and the surrounding town? Click here to subscribe to my BLOG!